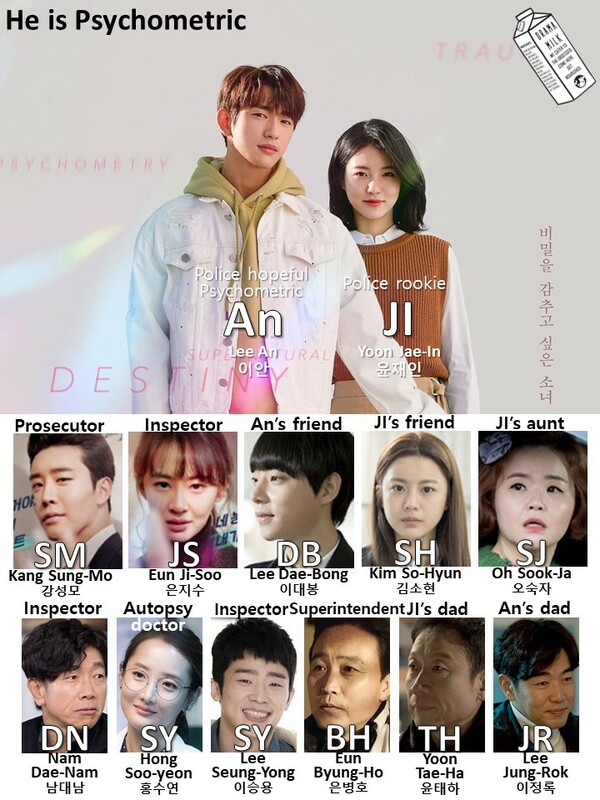 I think a time jump is neigh as we figure out just how good Lee Ahn needs to get with his psychometric abilities in order to solve the cold case of the apartment complex fire/murder mystery and clear Jae-in’s father’s name. We open on a snowy day in 2005 December 10th, one week after the fire. Jaein and Lee Ahn talk outside the police station. She asks if his father is a police officer? If so then can you tell him to release my father, he is not a criminal. Lee Ahn asks her if she wants a candy and then says that he does not have his appa anymore, he went to the Sky from the fire. My Umma and Appa and a lot of people died in that fire. Jaein looks at him, he says he wants to her her, but I am sorry. Then we see young Sungmo come in the orphanage van to pick up Lee Ahn and take him with him. He looks back to see Jaein, but she is hiding behind the wall. In the present, Lee Ahn asks Jaein what she wants to find out? A handshake or something? Is that what you want from me? She tells him that she has heard this nonsense so maybe she sounds crazy. He says no, don’t worry, I read the answer card with my psychometry, that is why I am #15 in the school and that is how I found out about SoHyung. They start to talk about how the hand might be the most sensitive part of the body. She asks him if it is activated by touch? Is it the most sensitive part of the body? So that should be the – lips, right? She leans in, hesitantly, and kisses him. But it’s a dream, Lee Ahn tumbles out of his bed and onto the floor. It takes him a minute to realize what is going on but he does get annoyed and wonders why he has this ind of dream, so embarrassing! Cut to Jaein eating breakfast at home with her aunt. She is thinking about Lee Ahn and his psychometry. She told him that he is not a monster, I want to go to you and shake your hand or whatever it takes. Just don’t go anywhere, I am coming over. But her aunt did not let her go. While eating, her aunt tells her that she looks a bit strange, is something wrong. Jaein starts to talk about someone taking the blame off of her father. Her aunt says that her father was in jail for 11 years already. It does not matter, it is too late. But Jaein says that it matters. He can prove that he is not a murderer and I won’t live my entire life as a murderers daughter. But her aunt says….what if he really did it? Jaein says that is nonsense, he used to be a fireman so why would he kill a lot of poeple with a fire and stab 4 people? (this aunt is Emo, so she is on Jaein’s mothers side, probably her mothers sister.) Her aunt tells her that it will be hard to prove and she does not want her to get hurt. But she is stopped by Lee Ahn as she walks up the alley to work. He is all like, hey, didn’t you want to see me? But she says that she was crazy momentarily so just forget about it. He asks if her father is wrongly accused? That is what she wants him to find out? She says no, I don’t want you to find it out and I wish that no one in the world knows about it. You said that the secret you want to keep is psychometry. For me, it is my father so lets just take it that we did not hear each others secret. They get on the bus and ignore each other. Though they are standing right next to each other. She tells him one more thing. Dont’ tell anyone that I am your neighbor, especially that I live on the rooftop. He says that he does not have to tell anyone, but when someone asks him not to do something, he wants to do it. You know I am in the period of hormones taking over. She tells him that she does not want people to see her as week. If you try to hold me then I will kill you. But then the bus stops abruptly and she falls into him so he holds her up but he does not touch her skin. However, they are both affected. He tells her not to worry, he didn’t see anything since their skin did not touch and he gets off the bus to walk the rest of the way to school. Cut to the prosecutors. Sungmo picks up Jisoo, she looks a bit scatterbrained as she gets into the car and tries a few times to buckle up. They start to talk about something to do with a ring, but it looks like it was a joke? Sungmo tells her that his joke wasn’t good so he starts driving off. They get to an apartment. Jisoo tells Sungmo about the person that lives there and how there has been no contact since the fire. She tried to investigate it but this is strange. She was bankrupt and had bad credit, but all of a sudden she turned her life completely around. She has no relatives and no one knows her, she is like an invisible woman. I feel like I am following a ghost. Sigh, I shouldnt’ have asked Ahn to do psychometry. Sungmo thinks it is strange since there is no cell phone. Jisoo thinks that they should report her as missing, if she tells her superiors about this then they will think she is crazy. he tells her that her father will be the happiest. Jisoo is all flustered and says that this feels like she pooped and didnt’ clean up! She messes up her hair as she thinks about it. Then they both walk off. But the zooms in on the flyer on the ground. At school, Lee Ahn is cleaning up all the trash when his best friend DaeBong comes up to him to tell him some news. But Daebond is all busted up due to fighting. It looks like his father spent money to cover it up but at least he didn’t hit him with a golf club this time (geez, harsh!). But what Daebong really cares about is whether Sohyun came to school today. Lee Ahn is pretty annoyed and sits on the bench. Daebong tells him that he went to far, but this is all pretty playful and they start joking. Inside, Daebong gets a milk carton from Sohyun’s desk and changes her milk. It looks like he might drink this one or maybe he might give this one to Lee Ahn. Jaein is sitting in her desk when two wealthy girls come up to her and says that they want to take her out or treat her to a club or something. They think she is on their level (with power in society). They think Jaein’s father will be the district mayor. Jaein says that she did not tell them that her father will be the distric mayor, sorry, I am not the same level as you two so you two can play. The girls still think that her father is running for district mayor and start a little argument with her about what she thinks is so special about her father. Lee Ahn breaks it up by tellingn them to do their recycling better. Then he asks Daeband what he is doing. Daebong says he is warming up the milk. Jaein looks at Lee Ahn as if she appreciates the help and yet doesnt want to say it. In the prosecutors office, Jisoo tells Sungmo that they are going to close the case. Sungmo tells her that they should have a last chance to double check everything again. He calls the insurance guy and tells him that he wants to talk to him again in the offices. The insurance guy says he is far away, but he can come. Jisoo looks giddy happy about this but tries to keep it in. At the same time, the insurance person hobbles through a hospital like building and looks at a woman with a golden ring on her finger who is knitting. But he might not go talk to her because we cut to him driving away off of this mountain. But he has to swerve when he almost hits a man in all black. He stops the car and gets out to check the damage to his tire and also yells at the ajusshi for what he is doing. But this looks so bad because the man in all black, and a black face mask, is walking toward this insurance man with a huge hammer. Back at the school, the students write down on sheets of paper what they want to do or become. Jaein wants to be a prosecutor and go to Seoul University. No second or third option. She just wants to get into Seoul University. After school, the two rich girls want to find out how rich Jaein is so they wait to see what car she gets into. But she doesn’t get into a car. The girls wonder, is she just walking home? They then get into their expensive cars and all have drivers. Daebong also has a driver so he and Lee Ahn get into his car and are driven off. Daebong sees Jaein and talks about how it looks like she is rich. He remembers that Jaein does not want anyone to know that she is poor or where she lives. So, he does not say anything. But he does see a man who looks like he is following her. Jaein cuts through a few alleys and goes to work at a convenience store. The man following her is the math teacher. He looks pissed. He takes off his mask and walks to Lee Ahn with a bottle and tries to break it on her. But this bottle has acid in it! He swings his arm back to hit her with it but Lee Ahn stops him. He then forces the teacher onto the counter and the acide spills onto it. However, Lee Ahn does not know that this is acid. Jaein has to tell him to release the teacher or the acid will hit him! So Lee Ahn does even though he does not understand the danger. Cut to the math teacher taken away in handcuffs. Jisoo is the cop on the case. Jaein gives her all the evidence like the bottle, it is in a plastic bag. Jisoo is amazed that she has all the evidence wrapped up so nicely like this. Lee Ahn can’t believe that acid will burn something and that someone wants to use it in that way, that is horrible! Jisoo is amazed by Jaein who actually went back inside to finish her part time job instead of going home. Lee Ahn tells her that today he did not cause trouble, he rescued her. Jisoo smiles and says he did a good job, so is this your friend? Jaein says it is the girl that turned him in as a pervert. She is actually in his class and is his neighbor now. Jisoo thinks this is fate. Lee Ahn says it isn’t fate, it is a coincidence. Jisoo smiles, but then she thinks about what SUngmo said about how Lee Ahn will get better at psychometry when he finds a person to really do the psychometry with. Jisoo looks back at Jaein. But she has to run off. Lee Ahn goes back inside and walks around in the same aisle as Jaein. She asks how he knew. He says that he saw him following her from school. But he also says that this is a good time to say thank you, no one is watching. She smiles and thanks him. He asks if she works there? Is this another secret? Jaein is very thankful that he found this out about her. Lee Ahn takes the candy that he likes off of the shelf and hands it to Jaein. She looks at it without taking it and then looks at him. Daebong and Lee Ahn go to Ahn’s house to eat. They really don’t care about the questionaire on where they want to go to school and use it as a placemat. Daebong says that his father wants him to say that he wants to go to Seoul University so he can at least say that his son failed at getting into Seoul University. He also says that Lee Ahn can be a police man if he wants becasue he is 15 in the class now. They wonder if they will really not go to college. Daebong says his family has 8 gas stations so there is no reason to go to college. That is also why I dont’ run away from home even though my father hits me like this. Ahn thinks that he has an oil spoon (like a silver spoon) so he is envious. In the prosecutors office, Jisoo and Sungmo think that the insurance guy is pretty late and he is not picking up their phone calls. Jisoo gets a call about and then tells Sungmo that Ahns friend almost had an acid attack, but it was aboutu to have an attack so the man is out now. Jisoo says that that is true, but the victim is Jaein, that kid that you wanted Ahn to see. Sungmo stands up right away and asks where she is right now! Cut to Sungmo and Jisoo meeting Jaein at her workplace. They tell her that it was a first attempt and he did not succeed so he is out. We can investigate it if you want, what did your parents say? She tells them that she does not have parents, Sungmo does not reveal the truth. Jisoo wonders what they can do. Do you have any other guardians? Sungmo says that he can be her guardian. Jisoo thinks that he is too busy to do this. Jaemin thinks that she can take care of herself, thank you for your care. But Jisoo thinks that she is too young to care for herself in this situation. Don’t you remember that dating violence guy that was released and killed everyone? Jaemin is all like, really? Can it be that bad? They tell her that it is possible, so you should not take a chance. Sisoo calls Ahn and tells him to become Jaemin’s bodyguard right now. You are in the same class and live next door and you know the teacher. There is no need for further explanation. Just do it now that I am telling you nicely. She also whispers, if you want to go to the autopsy room again. She hangs up. Sungmo tells her that he heard her. But Jisoo ignores him and tells Jaein not to tak this lightly, no spot of acid should go to your pretty face. Just take this as precaution. Her replacement part-timer comes in right then so Sungmo tells her that he can take her home. On the drive, Jaemin apologizes for Sungmo to help her all the time. He asks how many part time jobs she has. She says 3, but she redced a few due to the college exam coming up. He says that he knows she is a good student and want to be a prosecutor or a judge. Is this to prove your fathers innocence? She looks taken aback, he asks if he should pretend like he does not know? If you are uncomfortable then I can change the topic. She asks him to do that. (It seems like he lacks emotion). Jaein is pretty uncomfortable and changes the subject to Jisoo, is she your girlfriend? He says that hse is just his coworker and friend since childhood. She doesn’t filter her brain at all and is honest and hot tempered. Jaemin thinks she is super cool. Cut to them walking up the alley. At her gate, Sungmo asks if she thinks her father is the criminal. But then her aunt comes out and recognizes Sungmo as the guy from the news! She is so surprised to see him and so happy that he has helped Jaein from afar all this time! You are so handsome in real life! Jaeim is super embarrassed, the aunt asks him if he wants to come in and eat ramen (lol lol lol). Jaemin tries to pull her aunt inside. Sungmo laughs. Sungmo gets home, the camera zooms in on a poster of a man with two faces. He gets to his roof and sees Jaemin going into her place with her aunt. They nod to each other from the rooftop and she goes inside. Sungmo then gets a phone call. It is a serious one as the mood changed immediately. Cut to him driving away in a hurry. He drives to a crime scene. Jisoo is already there. it looks like this crime scene is in a construction site. They tell Sungmo that they called him because he was first on the phone list. Jisoo thinks this happened because he was coming to see him. Jisoo also thinks it is strange that he has a chain on his leg that is not connected to anything. Sungmo thinks that the guy who did this is challenging them. In the morning, Lee Ahn starts his duty as bodyguard right away with walking Jaemin to school. She pretends like she does not like it to his face, but she actually like it. She smiles. She also wants him to sit next to her on the bus, but he sits in front of her. She also wants to touch his hair to fix it, but she doesn’t. Meanwile, Sungmo drives in a hurry to his office and starts getting a lot of things out of a blue box. Jisoo follows and wonders what he is doing? He puts a lot of things on a table with photos of victims that are blurred out. Then he tells Jisoo that they need to reinvestigate from the begining. Whoever killed the insurance guy, we have to figure it out. Jisoo wonders if the insurance guy case is related to the hospital case? Is that what you are saying? At school, the rich girls start to talk about Jaein’s uniform and how they can find out everything from it. They also wonder why she moved so often. They tell her that they will figure it out soon and then leave. Jaein starts to have a bit of an anxiety attack with her last school where everyone was looking at her and whispering about how her father is a murderer, but it also looks like she is imagining that this classroom will do the same thing. She thinks back to her father going to jail and all the altercations she had with bullies about it. Everyone is looking at her because she is just standing up in the classroom. She slowly walks out. Lee Ahn follows her. She runs to the roof and is breathing hard, so she goes through her usual ritual of breathing into a paper bag. Lee Ahn asks if she is okay, she holds her hand out to him to wait and keeps breathing. Later, she tells him that she just hyperventilated. If she breathes too fast due to fear then she doesn’t have enough CO2 so she has to re-breath her CO2 in the bag. He asks her if this happens often? She tells him that she pretends like she is strong, but she has a weak mind, she just wants to survive until the exam. She thinks that she needs something to protect her. She has no parents or background. She only survives as being #1 in school. But if people know that I live as a poor girl living in an octopang, then it won’t work anymore. It might sound funny to you. He says that it is that same to him, he has no parents of background. The only thing that protects him is this ability. She tells him that he has a brother. But Lee Ahn says his hyung once left him alone in the orphanage without telling him. Flashback to Sungmo leaving Lee Ahn in the orphanage. Then we cut to Lee Ahn beating up a lot of kids at a high school with lots of fighting movies. He tells them that he will kill anyone that touches him/bothers him. He walks away all busted up (though he won). It is snowing and a little dog whimpers as he walks by. He stops to see where the whimpering is coming from. It is from a little dog that is abandoned in a box. Lee Ahn connects with him because he is also abandoned and alone, just like Lee Ahn. He asks him if his name is White Snow? Yes, you are really like snow. He apologizes to the dog for touching him and says, If I touch people, then they leave me. He starts crying and asks the dog if he would like to go with him? He picks him up and takes him away. Limping, he starts walking up some steps. But then Sungmo calls to him and tells him that he came there to pick him up. Am I too late? Lee Ahn starts crying a lot. LA – Hyung, I missed you. In the present, Lee Ahn tells Jaemin that he can’t understand him, he is the only person he can’t read. He heard that something important happened, but he doesn’t know why. Jaein asks if he thinks Hyung left bcause of his ability? Lee Ahn thinks so, but he says he tried to like his ability after meeting hyung again. Jaein asks why he is telling her that, it is a secret right? He tells her that she can tell him about her father, he will listen to her. You can’t run away forever, you have a part time job and you study, it should be difficult. She tells him that it is difficult, very very difficult. Maybe he is not wrongly accused, maybe he is the real murderer, that is why I am afraid. The reason I can’t ask you is because I am not sure. LA – If your father did it, it is not your fault. LA – Don’t worry about society, the most important thing is that people love you. I will help you. Not now, but when you are ready. But that night, we see that the teacher is spray painting on the school walls that Jaemin is the daughter of a murderer. The next day, Jaemin waits for Lee Ahn for a moment, but he is not there, so she leaves for school so as not to be late. Lee Ahn wakes up and hurries out to school after seeing that Jaemin has already left. As soon as he gets to school Daubong tells him that there isi big trouble (as he always does) but this time it is really big trouble. 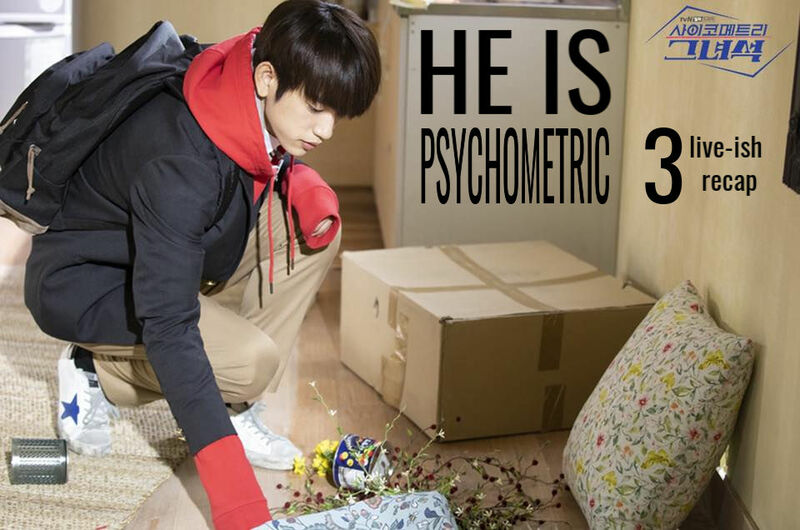 He pulls him to the wall that says that Jaemin’s father is a murderer and uses Psychometry to findo ut that it was the math teacher. He quickly gets the spray paint can and starts to spray over the markings. Then we see a flashback of Jaein seeing the vandalizm. We also hear a voice over of Jaein saying that she only survives because people don’t know this. If they find out then she doesn’t think she can stand it. Lee Ahn starts to search for her eerywhere. He goes to her job and to her house, but they have all left. He remembers telling her that he will help her when she is ready. He sees a photo of Jaemin and her aunt when she was little and remembers that this is that girl that he talked to outside the police station. He gave her a candy. He remembers the conversation he had with her about asking his appa to rescue her appa, her appa is not a murderer. He thinks that it is fate. He goes to the door and uses his abilities on it. JI – Sorry, just in case. If you psychometry me here, I want to tell you that you told me you would help me. It helped me a little bit. Your ability, raise it well. When I am confident, then I will look for you. Lee Ahn goes to the roof and thinks as he tries to breath and keep his tears from falling. Lee Ahn is driving a red mustang up the road with a smirk and not a care in the world. The same song is playing. He sees someone that looks like Jaein walking across the road and quickly abandons his car to chase after her, but it is not her. Cut to Daebong talking to a customer about how long she worked. He tries to do the math, but he is horrible at it. The employee has to help him out. She sees a customer coming so she goes to help, but Daebong says that he can do it. So he goes out and sees that this is Lee Ahn in a red mustang. But it is acutally Daebongs mustang, lol. Lee Ahn tells him that he got it serviced, he saw that. He tells his friend to fill it up first. Daebong is all like, why are you using me car as your car? Why should I lend you my lucky car? The reason is because he is applying to be a policeman. Cut to Jisoo running to ask Sungmo if he knew that Lee Ahn was applying to be a police officer? Sungmo knows it. Jisoo thinks, if he passes the test, even if he uses his ability, it means that his ability is getting better! Sungmo says they can talk about it later then asks why she is there on her day off. She tells him that she has a blind date! Should I go? He is all like, why shouldn’t you go? Then he leaves. In the elevator Jisoo bursts out about how embarrassing that was! Argh, I shouldn’t see Ahn too often, I need to take this to the grave. Argh! During the test, Lee Ahn relaxes his fingers and then starts to touch the person in front of him and says that today’s exam will be all him. But some people walk inside so he has to stop for a moment. When everything calms down a bit, he touches the neck of the guy in front of him again and sees that this guy studied so much for this exam. But one of the officers tells him to stop. You need to solve this all by yourself otherwise you will be kicked out. He recognizes the voice and looks up, it is Jaein. JI – I found you, Yoon Jaein. She looks at him sternly and does not give away whether she recognizes him or not. This show is definitely my speed in regards to the level of scariness and crime scene sickness that I can take (my tolerance is so low, y’all). I love how this show blurs out a bit of the hard to stomach images (even though I can see how that can drive others crazy) and I also like how they show just enough of the crime to get you involved but it doesn’t dwel on it or take us all into the family members of the victims for tear jerker awards. It is literally just the crime scene. Because it is a light touch, it also allows me to enjoy the comedy that they have. I am really enjoying it. JI – You tried to do psychometry and cheat? Are you helping prosecutor Hyung and Inspector Noona with your ability? SM – Superintendent, do you really think that you thoroughly investigated this? 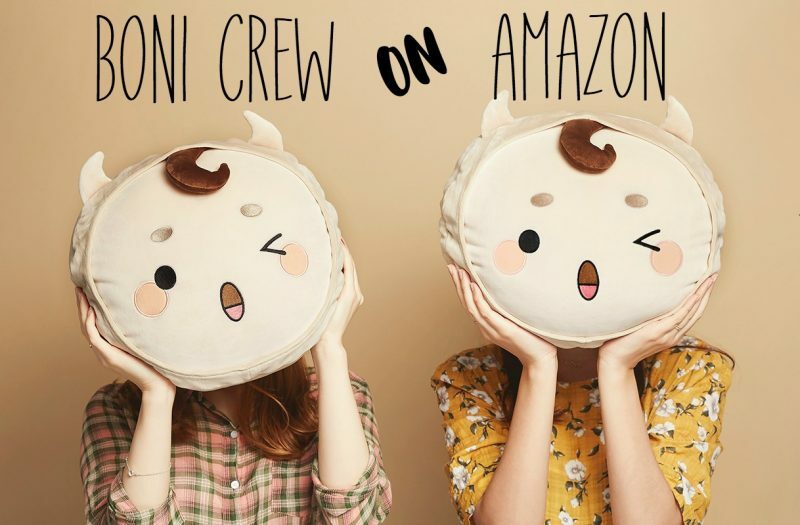 Ahn – Maybe a kid is Kidnapped? there is really a killer who became a corpse? JS – Hey, Kang Sungmo, why are you hiding so much? Ahn – I approached them, but they ran away. Ahhh I’m refreshing it so often, can’t wait to read the whole thing! This episode was great! I am really getting into this show! Time jumps are so super common! I don’t actually think I have watched a drama that didn’t have a time jump recently???? Maybe I have seen one, but I can’t think of any off the top of my head.